Posted 26th June 2018 & filed under Blog. Vice-chancellors’ pay continues to draw scrutiny. This follows the run of extremely negative headlines following the 2017 disclosure of the outrageous £808,000 pay package of the vice-chancellor (VC) of Bath Spa University and the perceived out-of-touch response by the vice-chancellor of Oxford who attempted to defend high UK VC pay as being part of an international market. 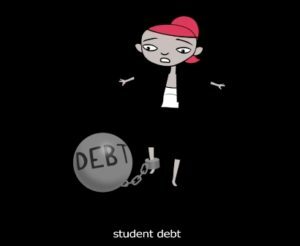 This is at a time when domestic students face unprecedented levels of student fees, interest rates, and debt: £9,250 annual fees; 6.3% interest; and a 9% repayment rate on incomes over £25,000 to pay back an average £50,000 borrowed on graduation. The report cites a table of vice-chancellors’ salaries in the Times Higher Education in June 2017, which looked at salaries, and found that ten university vice-chancellors had pay and perks packages of around £400,000. In February 2018 the average VC pay package was £290,000, according to a Times Higher Education VC salary survey. The House of Commons library states that vice-chancellors’ salaries have not increased disproportionately since the rise in tuition fees in 2012. They say that “various reasons have been given for increased vice-chancellor pay and the reasons for this tend to be different in each specific situation”. This sounds like a fudge to me. The government has been quick to distance itself from the responsibility for VC pay by stating that higher education institutions are autonomous and solely responsible for staff pay. That is true. However, annual pay has increased on average by about 3% a year each year since 2011, well above inflation. And while the pay ratio of VCs compared to average academic pay may be “in line with those seen across the public sector”, year-on-year annual increases of the like have rarely been seen in the private sector over the same period. Publish the pay multiple of the vice-chancellor compared to the median earnings of the whole workforce. The Code also states that no individual should be involved in deciding their own remuneration. But, don’t be fooled. This is still a voluntary code, so it is yet to be seen whether VCs will toe the line. Will the new regulatory role of the Office for Students (OfS) also help to bring about pay restraint? Publishing the details of the total remuneration packages paid to vice-chancellors may work better, as institutions will have to publicly explain how “alternative arrangements” (translation: pension bungs) meet the principles of the guidance. But until staff and students have a seat at the remunerations committee table, it may be still be too easy for them to avoid being held to account.